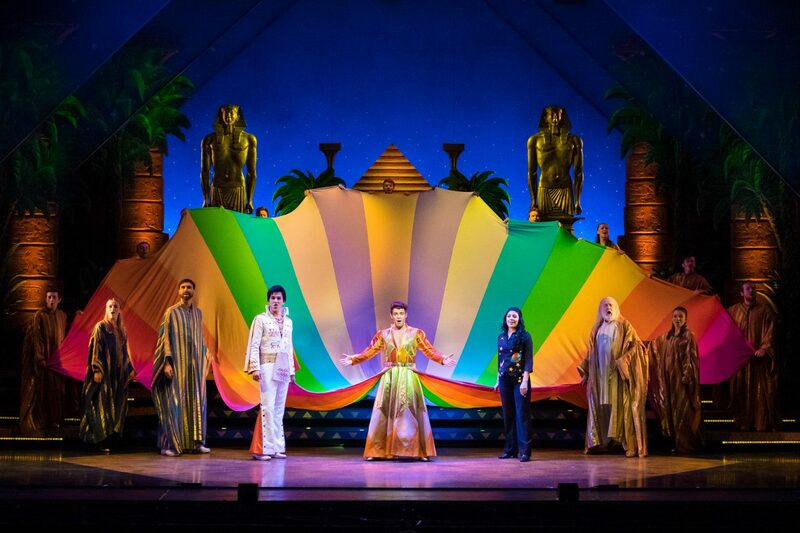 Joseph and the Amazing Technicolour Dreamcoat is an absolute classic of musical theatre. Andrew Lloyd Webber’s and Tim Rice’s biblical school show turned worldwide hit still attracts audiences 40 years on, with songs that we all know and love, including Any Dream Will Do and Go Go Joseph. As the first musical I ever saw (and still to this day my all-time favourite) I am quite critical of the UK tours that do the rounds each year. But out of the many many versions of the show that I have seen, this was definitely up there with the best. The musical tells the Old Testament tale of Jacob and his 12 sons. Favourite son Joseph’s gift of interpreting dreams angers his brothers leading to him being sold as a slave and facing a bleak future, unless his dream-reading talent can save him. Joseph is well known for its celebrity leading men, sometimes unsuccessfully (we won’t mention Gareth Gates…), but this production really struck the right balance between celebrity names to boost audience numbers and talent for the musical fans. X Factor favourite Joe McElderry takes on Joseph this time and he really impressed me, although the ugg boots did not (very biblical). He had a gorgeous voice and the end of Close Every Door got the hairs on the back of my neck standing up. Unfortunately he just needs to find something to do with his hands – it is obvious Joe is used to a microphone as he feels the need to gesture constantly, which can be quite distracting, particularly in Close Every Door. Apart from that he is so confident on stage, and funny and likeable in the role. Narrator Lucy Kay, Britain’s Got Talent runner-up, is simply superb. I felt the first song was a little shaky but once she got started I was wowed – what a strong voice with excellent diction. The production has cast an excellent troupe of brothers, although I felt they were a little too choreographed in the first act. I imagine the brothers as a rabble and not a well-oiled machine doing a large amount of matching routines. Despite this, they were hugely entertaining as a group and impressive in their individual songs and roles. Special mention to Jamie Jukes in Those Canada Days – awesome vocals. Overall you can’t go wrong with this show. It is nice to see some new ideas, like the American football themed Song of the King, but the show still has the infectious charm that it has always had. Definitely one to see! 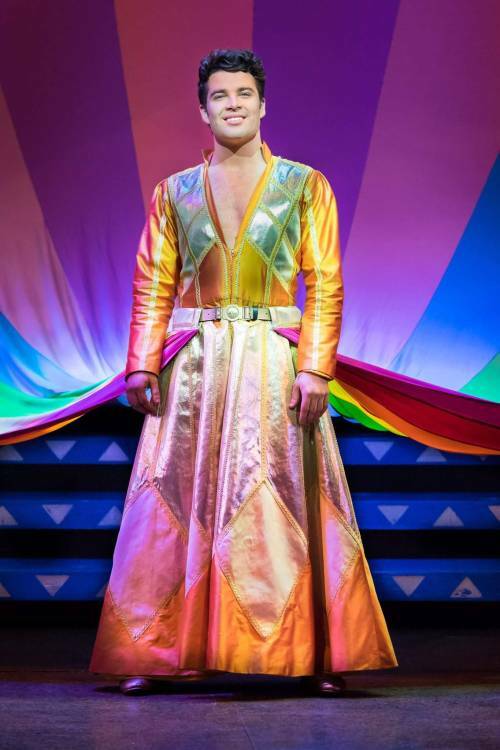 Joseph and the Amazing Technicolour Dreamcoat runs at the Churchill Theatre, Bromley until Saturday 5th March before continuing to tour the UK.